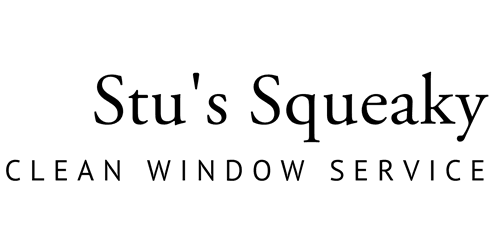 At ‘Stu’s Squeaky Clean Window Services,’ we believe in treating and caring for your windows as if they were our very own, and consider, as we carefully clean, what this investment in your home and your future means to you. We take the utmost care and pride in cleaning your home windows with a standard “mop and squeegee” method, using the industry’s highest grade microfiber cleaning mops, the safest and purest bio-degradable detergents and solutions, the highest-quality, imported detailing cloths, consisting of a blend of medical-grade surgical detail towels to European linen “scrim” cloths to assure the best of care for your windows, your window frames, and your window tracks. Should paint, debris, bird or bat feces, drywall, sheetrock, or even concrete splatter need to be removed from your window, fear not!!! Stu’s Squeaky Clean Window Services’ staff is trained in the use of ultra-fine, European brass and steel wool removal techniques to protect your window investment, and use the world’s finest carbon-coated window-specific razors along with a window surfactant application to not only remove the debris, but to protect your windows!!! Our work is done with the greatest care, the most devotion to the life of your windows, and we treat your property as if, or better than our own! And please know that we are indeed insured for your protection, and for ours. If part of our work doesn't satisfy you, we will re-clean those areas until you, the client, are completely satisfied!